Thou’ must ruin a good thing and that’s for sure. 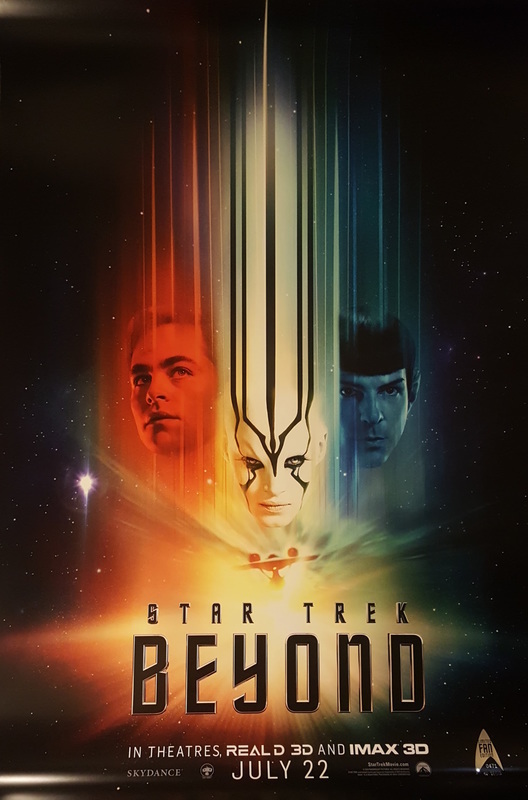 After two stupendous movies where Chris Pine & Zachary Quinto literally flipped the entire Star Trek fan base for doubting them as Kirk & Spock, it has all come crashing down in the end. Money can’t buy class and this movie highlights that. How else could you explain the fact that Paramount spent something to the tune of $185 million and gave a guy who made Fast and the Furious to make a movie with a history spanning back to 50 years? Justin Lin (director and main culprit responsible) has taken his brand of shiny cars driven really fast by guys wearing their pants way too low and put that in the suave USS Enterprise. The result is something that makes a Chunky Pandey flick look like Schindler’s List. Lin was probably a step below painting the Enterprise red and having yellow flames on its side! Its unimaginable how someone with so little talent can be given the reins of a movie franchise which established its fan base while he was still potty-training. Mr. Lin, Star Trek is a lot more than fast cars and women wearing short skirts dropping their handkerchiefs to kick start a race, and you’d know that if you bothered to see it yourself. Star Trek is about exploring science fiction concepts and themes through great storytelling, to borrow a quote “To boldly go where no man has gone before”. To help open our minds, to think of the possibilities and widen our imaginations and not watch a video game in 3D. The story is lame, but with this being a review and all that….. It’s Star Date 2263.2 and Kirk (Chris Pine) is into the third year of the “5 year mission” and is emotionally ‘Lost in Space’. Spock (Zachary Quinto) also receives some unfortunate personal news and that unsettles him. Spock and Uhura are also “on a break”. Kirk, Spock, Uhura etc. all are in need of a vacation, and Starbase Yorktown appears to be able to offer them that. (Throw in special effects to show an unbelievable location in space.) The reverie is rudely interrupted by the arrival of a frantic alien called Kalara (the gorgeous Lydia Wilson) from the other side of the galaxy. Her crew has been stranded on a remote planet and she needs help to rescue them. Kirk agrees but as most rescue missions go, this one comes up with a roadblock, mainly in the form of the warlord Krall (the brilliant Idris Elba who I feel is wasted in this movie), whose presence as the bad guy in the movie is literally as important as asparagus in a salad! Kirk and his crew now have to rescue themselves and the crew, throw in some more special effects, a random motorcycle and you have Star Trek Beyond. Second comes the writing. Simon Pegg writing movies works well ONLY when he stars in them. Shaun of the Dead, Hot Fuzz, Paul…all brilliant, all silly, all have Pegg as the lead character. They are funny short stories with little, to no brains required and this is Pegg’s niche. Star Trek needs more capable and able bodies to work through its storyline and not a stand-up comic who can write about a zombie infested city which the lead can clear with a baseball bat. With poor direction and even poorer writing, the movie just falls apart. There was no character development in this movie, which I personally feel has been the best part of the franchise till date. The complex equations between Kirk and Spock, Ka’an and Kirk, Kirk and Bones, Spock and Uhura…etc. are all part of this wonderful science fiction adventure. Unfortunately, in this movie, there was neither a flow nor any character evolution and you do not learn more about anything really. Instead of Kirk, Spock and Scotty you could stick just any name over the protagonists and the movie would have flown the same. The story is loosely tied and the characters are thinly created and I have seen Barbie Dolls with more back story. Sorry folks, but this movie is literally a waste of time and money. 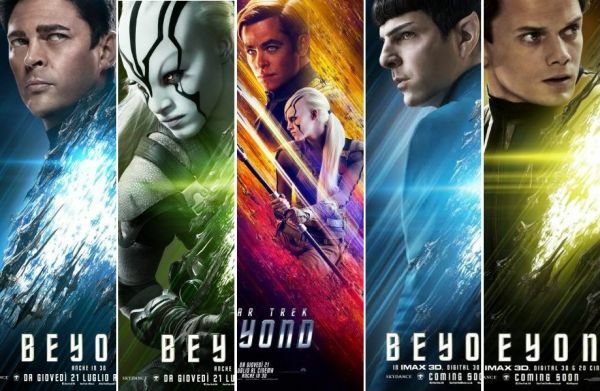 Star Trek Into Darkness: Boldly Going Where Few Sequels Have Gone Before.